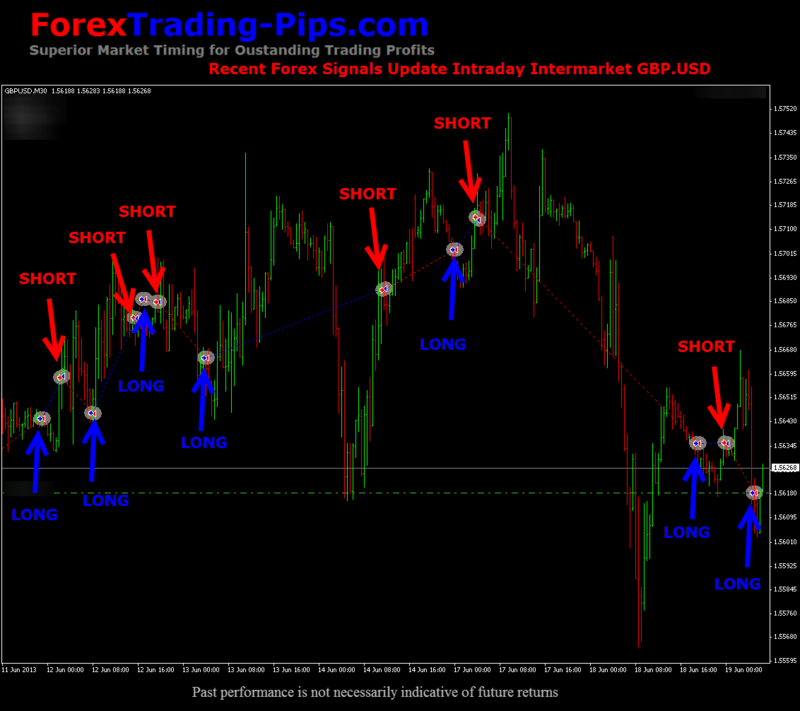 If you’re looking to learn how to profit trading Forex, then you will want to read this article. After reading this article you will have a better understanding why most traders are losing money and why some traders are able to earn such an incredible living from their profession. First let’s take a look at the recent Choppy Price action in GBP.USD which has helped fuel outstanding gains in our Intermarket Forex Trading. Swing Trading with Intermarket divergence is one of the most effective ways to play the type of range bound choppy price action that we have seen lately in GBP.USD. When Forex markets chop around erratically inside a range, many Forex traders lose money as they attempt to ‘chase the breakout’. Intermarket divergence trading strategies successfully ‘take the other side of the trade’ and can generate significant gains as you can see on our recent signals chart update of GBP/USD below. Note on the chart above how price action penetrates recent highs and lows… sucking in momentum breakout players, only for prices to whipsaw back inside the range taking out those same traders stops and generating repeated painful losses. To learn more about how you can profit trading Forex using intermarket analysis make sure to register now for our FREE email updates using the links below.